Supports and safely guide the pipe during the lowering-in operation. Available models to accommodate pipe sizes from 2" through 48" (60.3 mm – 1219.2 mm). 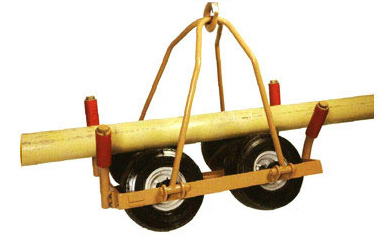 Large multi-ply pneumatic tires and wheels mounted on a strong frame with lifting bales. Insulated, coated and wrapped pipe can be handled without damage. Wraps around the pipe and forms a continuous roller surrounding the pipe’s lower half. For pipe from 2" to 60" (60.3 mm – 1524 mm) in diameter. Pipe can be kept close to the ground allowing operators more control and mobility. Polyurethane rollers make it ride easily over weld seams and eliminate pipe coating damage. 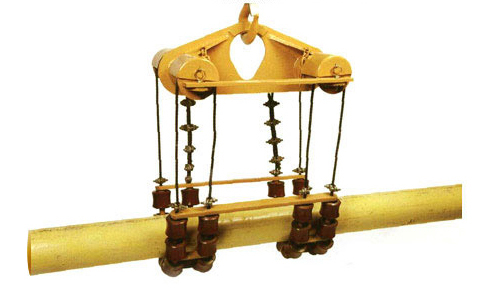 SEM Horizontal Pipe Roller are manufactured to be simple to use and handle.